EON 1962 Swiss Movement Green Jade Dial 3ATM Water Resistent Watch with Genuine Leather Strap 25.000 Ct.
STRADA Japanese Movement Silver Grey Colour Plated Water Resistant Watch with Ash Black Colour Literal and Strap. STRADA Japanese Movement Silver Grey Colour Plated Water Resistant Watch with Navy Blue Colour Literal and Strap. Some have an obsession others rest with the needs, but a watch is an accessory that finds it way in almost everyone’s life. Whether it is a luxury edition, a vintage timepiece or for that matter a casual watch, it is the dire need. Considering the irresistible addiction people have for it, TJC introduces you to Watch Auctions. Head over and find a contemporary collection of timepieces reflecting everything one may ask for and that too in perfect harmony. A party edition, an office essential, or that sporty classic, you name it and we have it. Both men and women share an uncanny bond for their watches that features from the classics to the oh-so-normal. But no matter what, they manage to have it all. Some like to stock up, others like to follow the entire week watch code. Therefore, watch auctions is a playful and thrilling experience to grab the most extraordinary watches to your collection. From placing the bid to checking the bids placed on the watchlist and winning the auctions, it is a process letting indulgence. Winning an auction is no wonder a treat that incorporates bountiful of emotions of getting the watch at an amazing price. If you haven’t placed your bid at TJC’s auctions yet, do it now. TJC’s watch auctions in the UK are one of a kind and outspreads magic. It is the place to be if you are obsessing over a watch from quite some time, it won't let you linger but may exceed your chances to win it at the auctions. 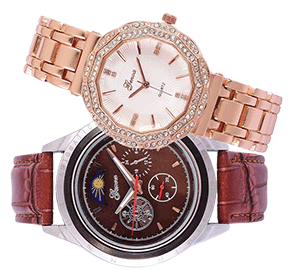 Join the fun of watch auctions and place your bid now.